A post sunset shot from Buda Castle of the Parliament building with the Chain bridge in the foreground. 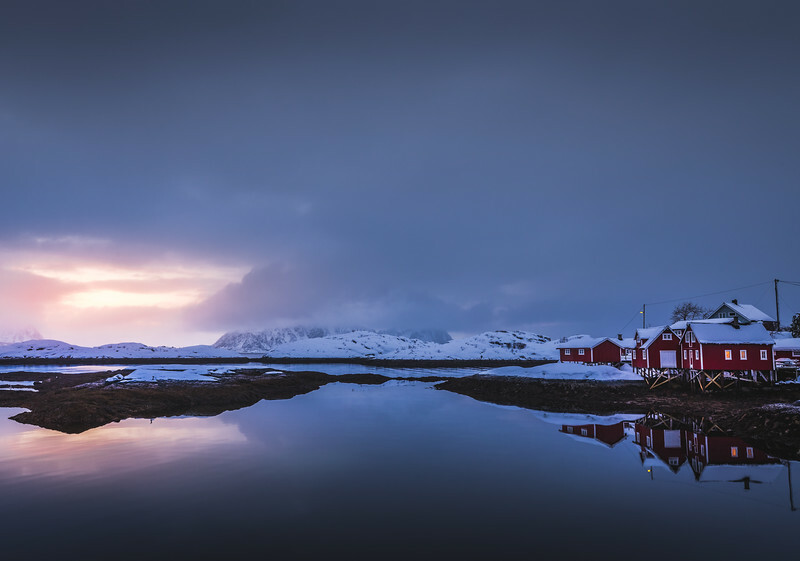 I used a long focal length to compress the scene and create this image. 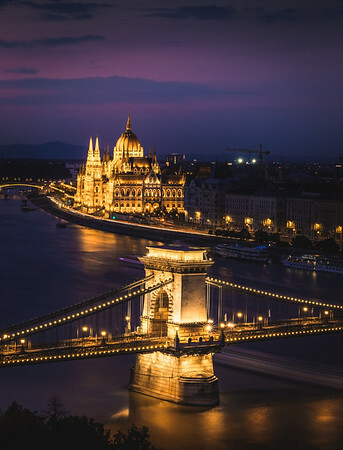 The city lights of Budapest are just brilliant. The whole city looks as if made of gold. 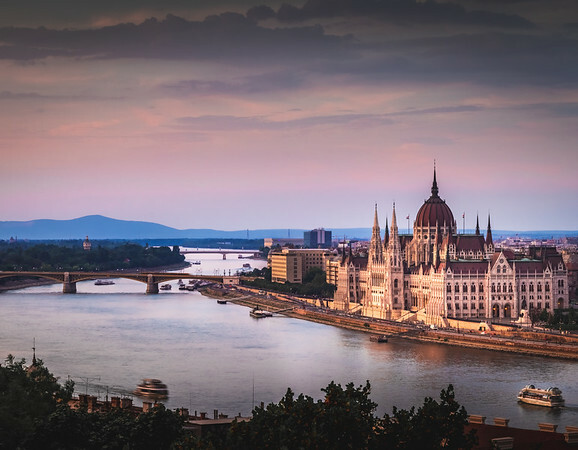 Budapest has marked topographical contrasts: Buda is built on the higher river terraces and hills of the western side, while the considerably larger Pest spreads out on a flat and featureless sand plain on the river's opposite bank. 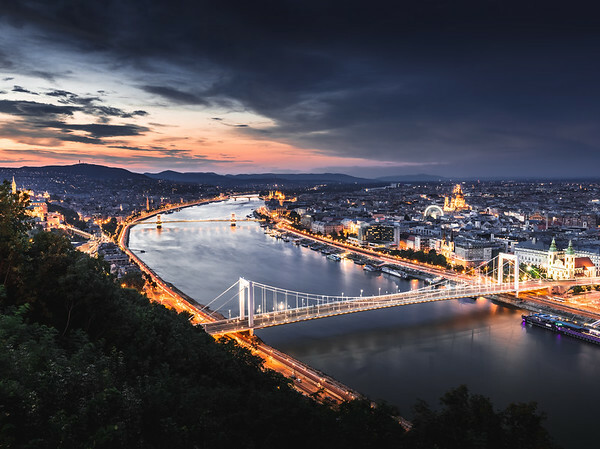 The Danube is Europe's second longest river and flows through 10 countries, more than any other river in the world. It flows southeast for 2,850 km, passing through or touching the border of Austria, Slovakia, Hungary, Croatia, Serbia, Romania, Bulgaria, Moldova and Ukraine before draining into the Black Sea. Called Országház (House of the Nation) in Hungarian, a notable landmark of Hungary is the tallest building in Budapest. Construction was started in 1885 and the building was inaugurated on the 1000th anniversary of the country in 1896. About 100 000 people were involved in construction, during which 40 million bricks, half a million precious stones and 40 kilograms of gold were used.